The Best Golf blogs from thousands of top Golf blogs in our index using search and social metrics. Data will be refreshed once a week. You may also be interested in Top Golf News Websites or Golf Podcasts or Golf Youtube Channels list for Top videos on Golf. 2.92 Golf in the UK - The site for all golfers! About Blog Find the latest golf news from all the major tours and updates from around the world. Up-to-date leaderboard information, instruction videos and more. Facebook fans n/a. Twitter followers 176,343. San Francisco, CA About Blog Reddit's Golf feed. Reddit is a community of millions of users engaging in the creation of content and the sharing of conversation across tens of thousands of topics. Find latest updates related to golf on this site. Facebook fans 1,181,427. Twitter followers 539,788. New York, USA About Blog Practical Golf is an honest resource for the everyday golfer who is looking to enjoy the game more, and find ways to improve. Facebook fans 11,513. Twitter followers 4,219. EAST SUSSEX About Blog Golf News is the UK's most widely-read free golf publication, and is being read by more golfers than ever before, following a significant increase in its profile. Golf News will continue to do what it has always done - provide topical news and exclusive features that are relevant and interesting to club golfers. Facebook fans 100. Twitter followers 23,918.
https://twitter.com/golfnow/ About Blog GolfNow's new golf blog named "The Daily Tee" is your place for interesting golf blog posts and articles. Come check us out! Founded in 2001, GolfNow is the leading provider of online tee times, golf course technology, and service solutions. Facebook fans 144,497. Twitter followers 37,064. About Blog MyGolfSpy - "the top-secret golf site!" also known as The Consumer Reports of Golf. Facebook fans 45,463. Twitter followers 46,621. About Blog A blog with tips to help you transition to your new straight leading arm back-swing. This blog allows us to share information which we find in articles by golf professionals or success stories submitted by GOLFSTR users. Facebook fans 1,073. Twitter followers 209. About Blog Golf Instruction - What is essential to the swing and what is merely a matter of style? A page for everybody who loves golf! Here I will discuss the swing, architecture, equipment, players and the general state of the game. Facebook fans 8,638. Twitter followers 20,712. About Blog Want to figure out how to improve your Mental Game and improve with every round? Follow our blog for the updates. Facebook fans 11,968. Twitter followers 1,847. About Blog Miscellaneous content for golfers of all abilities who wish to improve their knowledge and understanding of the Rules of Golf. United States About Blog Welcome to Golf Channel's official YouTube! Follow today and get the best instructional tips, inside the ropes access to our original series, expert commentary across all 5 tours, and the latest scoop from the lighter side of golf! Facebook fans 715,443. Twitter followers 801,578. Orlando, Florida About Blog Global Golf Post is the leading weekly golf publication in the world. We deliver golf news, information, and insightful commentary to serious golfers worldwide. Go inside the ropes of pro and amateur golf. About Blog Looking to improve your golf game? Then GolfTEC is for you. We've helped thousands of players post career-best rounds. Facebook fans 35,592. Twitter followers 5,389. La Manga Club, Spain About Blog Adam currently teaches golfers the importance of developing skill as well as technique, and builds their games as a whole – including strategic and psychological strength. Adam’s theories are cutting edge, utilizing much of the newest research in the field of learning. He presents them in an easy to understand way that will make you revolutionize how you learn the game. Facebook fans 12,559. Twitter followers 6,821. About Blog The Cornell Turfgrass Team is made up of faculty from several Cornell units, NYSIPM program staff, Cornell Cooperative Extension educators from across the state, and others dedicated to helping homeowners, lawn-, sports- and golf-turf professionals and sod producers use research-based practices to effectively and efficiently manage turfgrass as an environmental asset. Facebook fans n/a. Twitter followers 248,120. Neptune Beach, FL About Blog No Laying Up Podcasts talks everything and anything about golf game from expert golfers. Facebook fans 4,060. Twitter followers 140,827. About Blog Real-time blog with news, scores, photos and analysis of New Jersey golf. About Blog A Gold Equipment Blog. Global Golf is unique in the industry by offering the discerning golf consumer a wide selection of both new and used golf equipment from leading brands such as TaylorMade, Nike Golf, Callaway Golf ,Titleist, Cobra, Ping, Cleveland, Mizuno, FootJoy, Etonic, ECCO, adidas and many more. Facebook fans 16,798. Twitter followers 8,346. About Blog Welcome to the William Hill Golf Blog. Here you will find the most up to date analysis of everything happening in the world of golf. We aim to provide you with the expert golf predictions, putting that extra bit of knowledge in your bag before you bet on golf online. About Blog Save on your golf equipment needs with free shipping and guaranteed lowest prices. We stock the largest selection of new and closeout golf clubs, apparel & more at GolfDiscount.com - online since 1995. Facebook fans 27,239. Twitter followers 5,120. The Internet! About Blog TheSandTrap is your place for golf news and reviews. Facebook fans 811. Twitter followers 2,119. Sacramento, CA About Blog Worldwide Golf Shops is the parent company to Roger Dunn Golf, Van's Golf Shops, Edwin Watts Golf Shops, Golfer's Warehouse and The Golf Mart. Facebook fans 19,888. Twitter followers 58. About Blog Golf Instruction Blog. The Rotary Swing is the first golf swing model to look at the swing from a purely anatomical and biomechanical perspective. RotarySwing.com has over 20 hours of instruction videos. Our philosophy is really quite simple: Provide thorough, yet easy-to-understand golf instruction based on facts rather than fads, gimmicks, opinions or guesswork. Facebook fans 18,966. Twitter followers 1,185. Facebook fans n/a. Twitter followers 4,006. About Blog Geoff Shackelford blogs on his books, the state of golf and course design. Geoff Shackelford is a Contributing Writer to Golf World magazine, a Contributing Editor to Golf Digest, a weekly contributor to Golf Channel's Morning Drive and is the author of eleven books. Facebook fans n/a. Twitter followers 59,909. Denmark About Blog On our TrackMan Blog you will find Tips and Tricks, University material, Videos, Drills, Tutorials, News and much more. Facebook fans 105,533. Twitter followers 26,784. About Blog At Ship Sticks, our mission is to make golf travel simpler, easier, and more affordable. Our goal is to provide golfers with a hassle-free alternative to lugging their clubs to and from the airport – so as to improve the golf travel experience, increase the number of rounds played annually, and grow the game. Facebook fans 7,727. Twitter followers 2,876. About Blog Since 1901, the NCGA has served the golfers of Northern California. That tradition continues today, as the NCGA is dedicated to making golf more affordable and accessible than ever, while running one of the strongest tournament schedules in the country. More than 150,000 members, from San Luis Obispo to the Oregon and Nevada borders, enjoy all that the Association has to offer. Facebook fans 8,760. Twitter followers 4,502. About Blog JDM Golf Clubs from Japan - Blog, News, Forums, Shop. Discover the Best Golf Clubs in the World. The #1 Source for Japanese Golf Clubs, Golf Bags from Japan, Womens Golf Equipment, Shafts & More. New Tech to improve your game! Facebook fans 102,144. Twitter followers 2,391. Facebook fans 120,467. Twitter followers 15,955. About Blog Putting. It’s a game within a game. One with many challengers. But few masters. It’s where three feet can feel like three miles. At our core, we are a forward-thinking company and we constantly innovate with ideas and products that build confidence on the green. It’s one thing to read golf history books. It’s quite another to write them. Facebook fans 89,364. Twitter followers 55,924. San Diego, CA About Blog Stay up to date with everything golf from San Diego Golf Events to tournaments, news and more with the ChipShotz blog by JC Golf. Luxembourg/San Francisco About Blog All Square uses the latest social media and app technologies to harness the passion for golf on a community level. Our startup's ambition is to become the world's leading marketplace and social network for golfers, a platform through which the world of golf will become more open & connected. Become the world's leading marketplace and social network for golfers to make the world of golf more open. Facebook fans 3,359. Twitter followers 1,383. Berlin, Deutschland About Blog GOLF1 is a Golf Blog & Community. Language: German. Facebook fans 4,048. Twitter followers 827. About Blog The Haggin Oaks Golf Complex boasts two championship golf courses, a world-class teaching facility with over 15 golf professionals, more than 10 different junior, senior, group and private programs and a lighted driving range that includes over 100 stalls, five practice greens, and two bunkers. Facebook fans 5,561. Twitter followers 2,637. Calgary, AB, Canada About Blog Thoughtful Insights Into Our Crazy Game. A golf blogger named Josh on pursuit to live his dream and golf the world. Thoughtful reviews. Making birdies. Rarely wearing pants. Facebook fans 176. Twitter followers 4,547. Global About Blog Golf Assessor is the Web's No.1 Golf Equipment Reviews website. Independent reviews and side-by-side comparisons from professional golfers. Facebook fans 1,331. Twitter followers 152. About Blog Noob Norm is all about beginners. We love learning new skills, and taking up new hobbies. And we want to help you do the same. Want to get into golf? Read our beginner’s guide and product recommendations, to find out everything you need to know about the game – from building a swing, to choosing the right golf equipment. Facebook fans 73. Twitter followers 7. Chapel HIll, NC About Blog A modern golf blog and review site. Reviews of golf equipment, apparel, accessories & travel destinations. Facebook fans 776. Twitter followers 2,982. About Blog Miles of Golf is designated as a Golf Digest Top 100 Club Fitter, a Callaway Regional Club Fitting Center, was the first off-course Ping National Club Fitter of the Year and has been recognized as one of the Best 100 Golf Shops in the country by Golf Digest/AGM since 1999. Facebook fans 2,428. Twitter followers 1,097. About Blog Golf Holidays and Tips from Around the World. A specialist golf tour operator offering great value holidays throughout the UK & Europe. Facebook fans 2,806. Twitter followers 7,160. Michigan, USA About Blog A Golf Blog, a Michigan based golf blog, featuring Golf Reviews, News and Opinion. Est. 2004. The 'Net's Oldest and Most Prestigious Golf Blog. Facebook fans 604. Twitter followers 9,570. About Blog Welcome to the Maderas Golf Club blog, an excellent resource for tips on golf and life. Facebook fans 3,030. Twitter followers 1,856. About Blog You like golf, then surely you will love to WIN FREE GOLF! Golf Code Weekly has set up many draws for you to WIN FREE GOLF FOR 4, in the USA and UK. Facebook fans 110. Twitter followers 8,149. Manchester, UK About Blog Golf Care is the UK's largest provider of specialist golf insurance for you and your equipment. Our aim when we founded the company was to provide golfers with the specialist protection they desperately needed on the golf course, at the very best price. Facebook fans 874. Twitter followers 6,814. San Diego, CA About Blog FCG specializes in development of junior golfers, our Academy/National Tour is a proven training ground for successful junior players. Facebook fans 4,421. Twitter followers 1,855. About Blog Hooked On Golf Blog is one of the most popular golf blogs on the web. Each "HOG" records roughly 3.5 million hits roughly 200,000 unique visitors. Articles cover the world of golf from equipment reviews to travel to the PGA Tour. Facebook fans 1,866. Twitter followers 3,847. Silicon Valley, CA About Blog GolfThreads blog features the World of Golf Style, One Thread at a Time. Facebook fans 255. Twitter followers 4,199. About Blog GolfDashBlog is a golf blog about cutting-edge golf fitness, great golf deals, cool, new golf products and timely golf news. Blogging since 2005! Facebook fans 94. Twitter followers 1,305. About Blog Aussie Golfer is an independent, Australian golf website that is your daily source for golf news, course and product reviews, golf tips and videos. California, USA About Blog The Golf Workout Program is the proven step-by-step guide to shooting better scores. Imagine what it's going to be like playing the best golf of your life. Facebook fans 241. Twitter followers 1,102. Henderson, Nevada About Blog The Breakfast Ball, We're A Golf Blog Featuing Reviews, Rants Stories, Tips & Photos. Facebook fans 180. Twitter followers 1,913. About Blog Your Step Into the Foray of the Meaningless World of Golf Blogging. Blog by Richie3Jack. Facebook fans n/a. Twitter followers 3,954. About Blog In association with GOLF DIGEST. David Owen is a staff writer for The New Yorker, a contributing editor at Golf Digest, and one of The Fifty Funniest American Writers. My Usual Game, The Making of the Masters, The Chosen One: Tiger Woods and the Dilemma of Greatness, Hit & Hope, and Lure of the Links, a collection of of golf stories, which he co-edited. ÜT: 41.802967,-88.180771 About Blog A golf blog focusing on golf equipment reviews, commentary and news. Facebook fans 304. Twitter followers 5,236. About Blog Sharing the tips, tricks, and views about golf! Facebook fans 230. Twitter followers 2,293. About Blog Welcome to Powerscourt Golf Club, one of Ireland's best golfing experiences, featuring two Championship Courses in spectacular surroundings. Facebook fans 3,071. Twitter followers 1,709. Chicago, IL About Blog The GP Golf Report is a website discussing golf rumors and opinions and is NOW part of the Yardbarker and Fox Sports Network! Facebook fans 634. Twitter followers 410. Raleigh, NC About Blog Find Golf Tournaments, Post and Advertise Golf Tournaments. Increasing play in fun-competitive golf worldwide. Facebook fans 11,581. Twitter followers 1,759. About Blog My name is Patrick Koenig and I am an avid golfer who loves to capture some of the outstanding moments I encounter on the golf course. It is my mission to share my stories, excitement and love for the game of golf with others. Hopefully, my experiences will in some way enhance yours. Facebook fans 144. Twitter followers 13,805. Budapest About Blog Golf Business Monitor shows you the latest business trends and challenges in the golf industry: golf course management, golf course architecture, golf tourism, golf health and golf equipments. Facebook fans n/a. Twitter followers 2,009. About Blog The original! Golf Babes has been celebrating the beauty of women's golf online since 2006. Facebook fans 1,769. Twitter followers 12,209. About Blog Get the latest news and information from Victoria Park Golf Club's blog in Guelph. Facebook fans 702. Twitter followers 701. Canada About Blog Jane and Dave Finn have been in the golf business for more almost 30 years. Dave is a Member of the Golf Journalists Association of Canada, Golf Travel Writers of America, Travel Media Association of Canada and International Golf Travel Writers. We have traveled to every province in Canada, 45 U.S. States and 32 countries. I hope you enjoy our articles and photographs as we continue our journey. Facebook fans 365. Twitter followers 1,988. New York About Blog We are the home for all things Golf. We are the everyday golfer, the ones who actually pay greens fees and buy equipment off the rack. Our goal is to spread the joy of this crazy game we all love to play. We’ll have features on equipment, courses, tips, books, travel and the golfing lifestyle. Facebook fans n/a. Twitter followers 1,801. About Blog We are one of Phuket’s most well known golf agents and provide discounted golf packages at all of Phuket’s beautiful golf courses. Our discounted golf packages can also include accommodation and popular tours. Facebook fans 233. Twitter followers 61. About Blog The Asian Turfgrass Center blog by Micah Woods. I'm chief scientist at the Asian Turfgrass Center. We research, advise, and teach about turfgrass. Facebook fans n/a. Twitter followers 4,565. About Blog Hi, my name is Stacy Solomon. This Golf for Beginners blog began as a way for me to write down and remember all of my lessons and golf tips but turned into much more than I could have ever dreamed! I'm an avid golfer, a 'lefty' to boot and to pay for my golf addiction, my day job is as an SEO and Social Media Consultant. Facebook fans n/a. Twitter followers 17,742. Highland Heights, OH About Blog American Golfer launched in July 2008 as a site dedicated to providing valuable information for the traveling golfer. Shortly thereafter, American Golfer took the next step by sharing new product information from the many equipment companies across the industry. Taking that one step further, the staff at American Golfer – comprised of golf/travel writers and club professionals – now reviews equipment. Facebook fans n/a. Twitter followers 2,121. About Blog Tracking the Intersection of Golf and Law. Blog by Robert Harris. About Blog The ORCA Report is to be the trusted data provider for golf course owners and operators, providing them with accurate numbers which help bring clarity to the relationship with their golfers, technology/marketing partners and competitors. Find Golf news and management tips to help improve revenue. Facebook fans 159. Twitter followers 111. About Blog 4 Deep Golf Blog is your source for PGA Tour, European Tour and hey, even some LPGA Tour picks, previews, analysis, honest criticism, opinions and more. Not just another golf website. So, sit back and get your popcorn ready, it’s going to be a show. Facebook fans 45. Twitter followers 678. About Blog Irish golf writer & photographer. Author of ‘Hooked’, the most comprehensive guide to Ireland's 18-hole courses, and ‘Driving the Green’. Published by Collins Press. Editor for Destination Golf Ireland. Facebook fans 462. Twitter followers 4,195. About Blog As all golfers understand, high-quality equipment is what can mean the difference between a great day on the greens, and a frustrating one! It is important to understand what it is you’re buying and why. It also helps to know what is worth the money, and where you could be saving a few pounds which could be invested somewhere else. About Blog Proud 90 updates about everything golf related, from the best places to play golf to the best equipment to use when out on the course. UK About Blog Find Golf News, Equipment Reviews, Travel, Betting and More on GolfBlogger. About Blog Pro tips and training for passionate golfers. Facebook fans 20,297. Twitter followers 1,706. About Blog Ottawa Golf Blog sharing golf course reviews and apparel reviews with a Canadian flair. Facebook fans n/a. Twitter followers 4,710. Gullane, Scotland About Blog This is a site designed mainly to help people plan playing golf at some of the great courses in Europe, and to a much lesser extent beyond. Facebook fans n/a. Twitter followers 1,045. Media City UK, Manchester About Blog Lets Talk Golf Blog Golf Betting, Golf Travel, News and Articles. Facebook fans 36. Twitter followers 2,632. Dana Point, CA About Blog Golf Drug Rehab at Capo by The Sea is a premier, all-inclusive recovery program for patients of means battling addiction and dual diagnosis conditions. Facebook fans 35. Twitter followers 4. About Blog If you're ready to improve your game, welcome to class. About Blog Tying golf's lessons to life and life's lessons to golf. India About Blog Views, reviews, occasionally news and more on golf. Picton, Ontario Canada About Blog Lessons learned about Golf and Life. Stories and suggestions on how to improve and better enjoy the great game of golf. Finksburg, MD About Blog A personal golf blog that talks about unique and different products for golfers. These are products, training aids, accessories and other golf related items that are really unique. You wont find these products in your golf pro shop or your online golf stores. Facebook fans 553. Twitter followers 14. About Blog Southern California golf blog is authored by San Diego golf writer Corey Ross. It's a mix of my published pieces/companion pieces about golf in the area. Facebook fans 41. Twitter followers 1,765. 92. Golf in the UK - The site for all golfers! About Blog Golf in the UK provides practical tips to improve the everyday golfers game. Facebook fans 2,675. Twitter followers 425. Facebook fans n/a. Twitter followers 1,549. About Blog Onlinegolfer.nl a golf blog about golf, golf, golf news, golf equipment and golf videos. About Blog The Mini Golf Hole-A-Day website with reviews of all things mini golf. About Blog Gold blog by Neil Sagebiel - Author of The Longest Shot and Draw in the Dunes (St. Martin's Press). Founder/Editor of Armchair Golf Blog. Golf news. Golf views. Golf spews. Facebook fans 207. Twitter followers 3,336. About Blog Custom Designed Golf Gifts, Unique Gifts for your favorite golfer. Personalized Golfing Ideas and Gifts. Art, coffee mugs, shirts, prints, coasters. About Blog Cosmic Driving Range mobile golf tour creates the brightest night in golf at courses across the country with glowing targets,neon lights,and electric sound! Facebook fans 7,809. Twitter followers 613. United Kingdom About Blog Golfing Herald is a golf blogging website that teed off in 2018, heralding the best in golf by bringing you entertaining and informative articles. Facebook fans 245. Twitter followers 5,114. About Blog Golf in Romania started from the idea of ​​having all the details about the golf game, about lands, competitions, teachers, equipment as well as impressions about them in one place. Facebook fans 4,885. Twitter followers 62. Scotland About Blog A weekly audio podcast designated to improving the experience of inbound golfers to the Home of Golf, Scotland discussing all things Scottish golf travel. Facebook fans 568. Twitter followers 3,124. Facebook fans n/a. Twitter followers 1,786. Perfect Arizona About Blog The Golfer Babe Blog covers golf product reviews, exercising and workout for golfers and more. Tune in for Tathata 60-Day Training Program Reviews! Facebook fans 129. Twitter followers 1,774. Scranton, PA About Blog CenterClub Golf provides the ability to practice with confidence in every swing. Stop Thinking. Start Swinging. Facebook fans 1,012. Twitter followers 4. Facebook fans n/a. Twitter followers 825. Marbella - Costa Del Golf About Blog Looking for product reviews on the best golfing products? This blog has all the information you need from golf's leading brands. About Blog This is a blog designed to review and rate the various golf courses I've played. It is my hope that this site will allow me to savor my golfing memories, while being able to help others looking for courses! About Blog We provide guides and reviews for picking up the best golf rangefinder | These might be good options for both professional and amateurs golfer in 2016. Facebook fans 4. Twitter followers 9. Canada About Blog A Canadian golf blog about great public golf courses, golf travel and more. Course reviews. Opinion and interviews. I want to share my opinions, experiences and engage about great public golf opportunities in Canada. Facebook fans 66. Twitter followers 1,550. About Blog Patrick Law Golf Inc. was founded by Patrick Law in 2012 upon graduating from Lethbridge College. Patrick began teaching golf at in rural communities in Manitoba where he grew up playing the game as well as the Shilo Country Club where he is currently employed today. Through his business Patrick offers golf merchandise from equipment to clothing as well as high caliber, enjoyable golf instruction. Facebook fans n/a. Twitter followers 748. Ohio About Blog Josh’s paintings have been commissioned by private buyers and by club owners to adorn their walls. From capturing a beautiful morning round in the Sand Hills of Nebraska to showcasing a family’s love at a course more off the beaten path, Josh is able to capture the essence of a course through oil on canvas beyond what a simple photograph can do. Minneapolis About Blog A golf nut in Minneapolis. I am a Programmer, artist and golfer. About Blog Official blog for updates, news and specials for American Golf's 100 Courses in the U.S. American Golf Corporation manages some of the finest private, resort and daily fee golf courses in the United States. In addition to outstanding facilities and world-class service, we are dedicated to helping people of all ages and backgrounds learn and enjoy the game of golf. Facebook fans 1,102. Twitter followers 4,991. About Blog A Golf Blog for the Rest of Us! We exist for the average hack. Funny, snarky and sometimes dead serious, together we can take the frustration out of golf! Facebook fans 871. Twitter followers 4,702. Zell am See - Austria About Blog From the life of a hobby golfer! Since 2008, a lot of golf has sneaked into my life and it looks like it will be a little more each year. Like every golfer, I experience all the highs and lows of this fascinating game with the little white ball and publish my golf thoughts every Tuesday (during the golf season) at 10 am in this blog ! Vancouver, BC, Canada About Blog Golf news and commentary from a business woman's perspective. Facebook fans n/a. Twitter followers 8,159. About Blog The art and science of golf improvement. This is the place where you get access to my latest thoughts, ramblings and insight into the golf learning process. I challenge the status quo and push you to move to the edge of your comfort zone - this is where real improvement and satisfaction lives. About - Golf News is the UK’s most widely-read free golf publication. The accessible and user-friendly web-based magazine has proved a hit with club golfers and industry professionals alike, and has helped Golf News to reach a wider and more targeted audience than ever. About - The UK's No1 golf media brand. About - The UK's leading women's golf magazine. It's informative and fun including the latest news, features, fashion, instruction, travel and lifestyle. About - Bunkered Golf Magazine, Golf News & Golf Forum. Your home for Golf. Read, Learn, Review & Discuss all things Golf. CONGRATULATIONS to every blogger that has made this Top Golf blogs list! 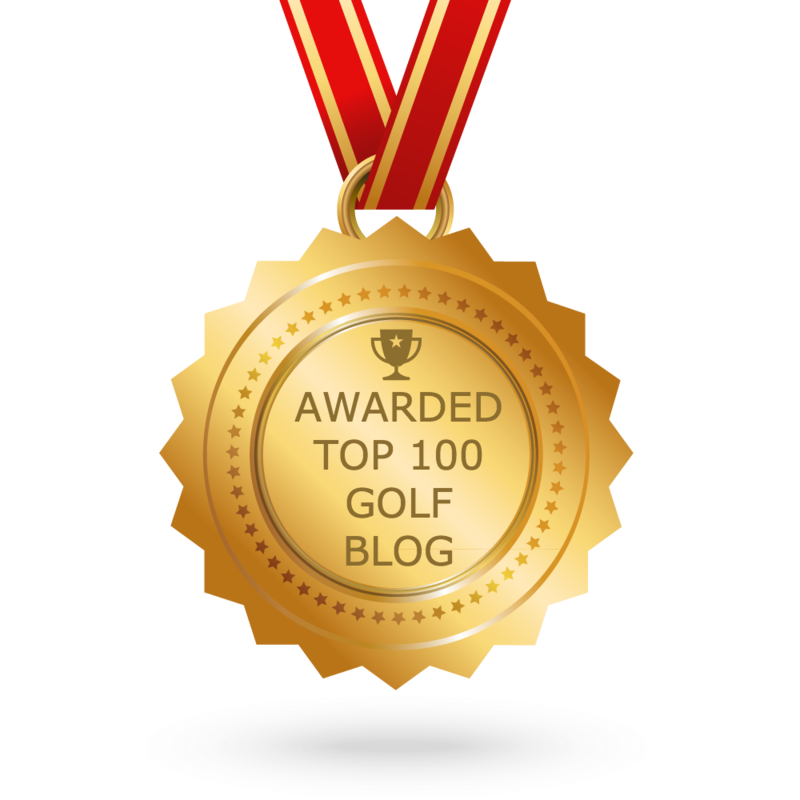 This is the most comprehensive list of best Golf blogs on the internet and I’m honoured to have you as part of this! I personally give you a high-five and want to thank you for your contribution to this world.